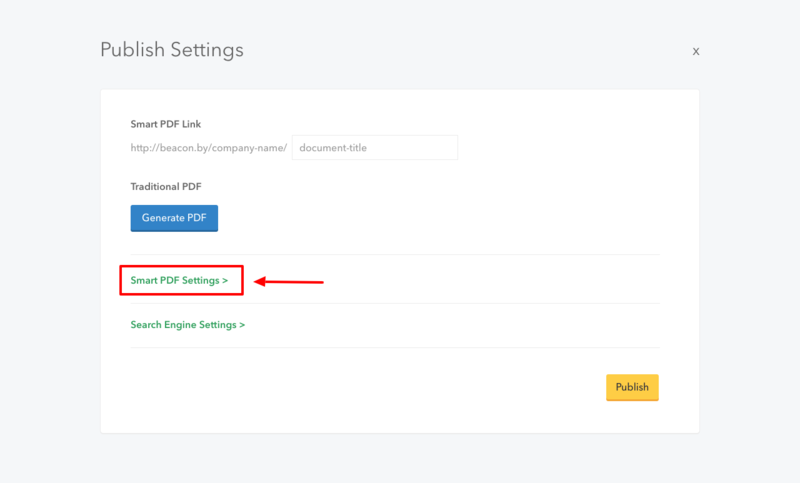 When people access your Smart PDF link you can give them the option to also download the Traditional PDF version of your document. If you do not want to give people this option you should check this box. Please note that this feature is only available on paid accounts. By default, all Smart PDFs will also contain various buttons to help people share your publication on their preferred social network. If you do not want these buttons to appear you should check this box. 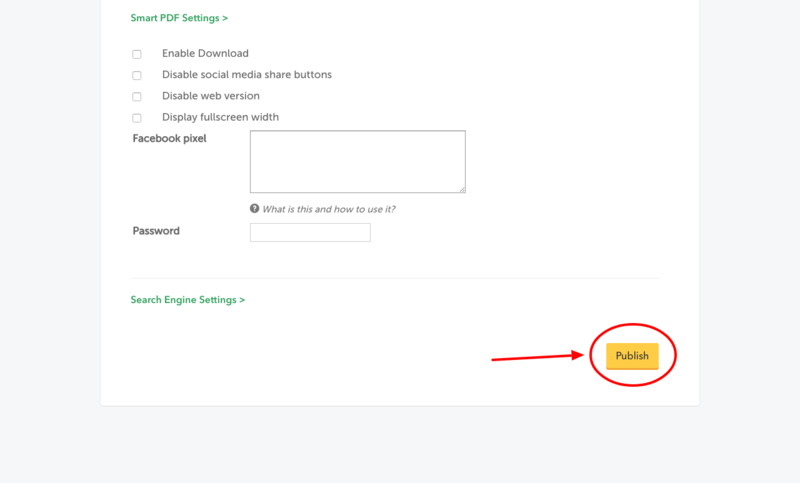 If you only plan on sharing the Traditional PDF version of your publication and do not want people to access the Smart PDF version then you should check this box. 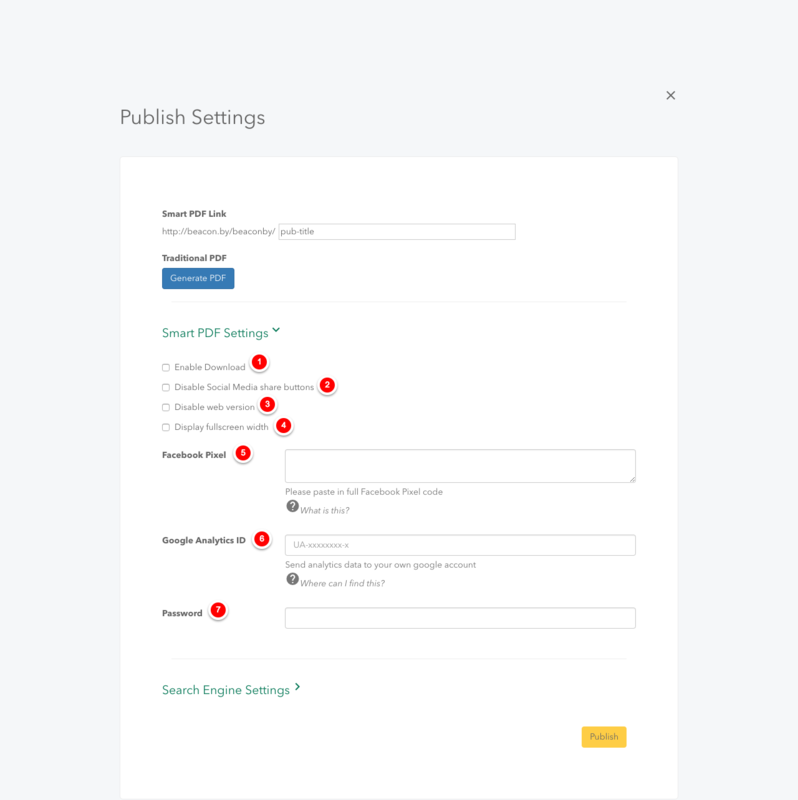 By default, your Smart PDF will display each individual page on one screen. Readers can scroll up and down to read the whole document. If you check this option, the Smart PDF will display each individual page on separate screens. 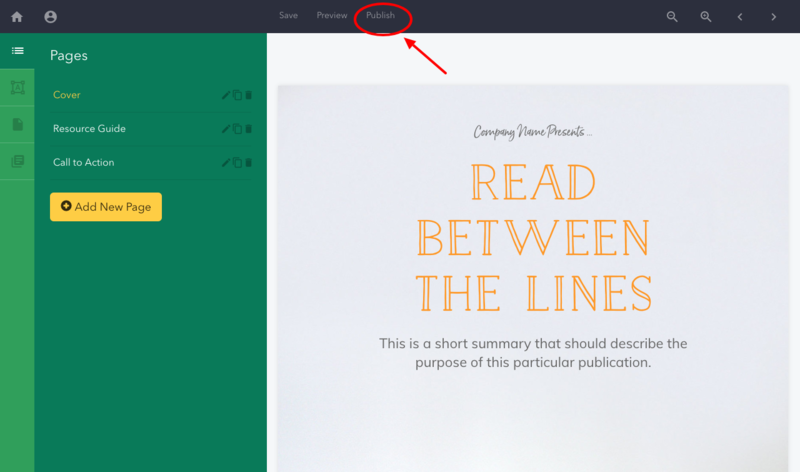 Readers can click left and right to access each page within the document. A Facebook pixel helps you to track traffic and conversions from Facebook Ads. You can paste the Facebook Pixel for you campaign in this box. You can learn more about Facebook Pixels here. If you want to record analytics for how people read your content you can use your own Google Analytics code so this information is available in your own Analytics account. If you want to make sure that only certain people can access your Smart PDF document then you can set a password here. Readers will be prompted to enter the password when you share the Smart PDF link with them.